Today we have an unusual offer to bring your venue alive for Museums at Night with a musical astronomy show! 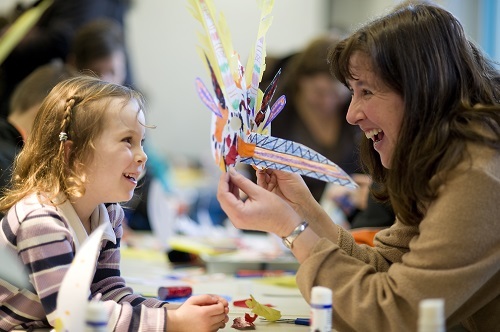 UPDATE 14/03/2014: Let’s Talk About Space have now been paired up with a museum for Saturday 17 May, but they’re still available for Museums at Night events on Thursday 15 and Friday 16 May. Let’s Talk about Space is a unique astronomy show that will introduce your audience to space concepts through the spoken word, live music, film, animation and 3D visuals. 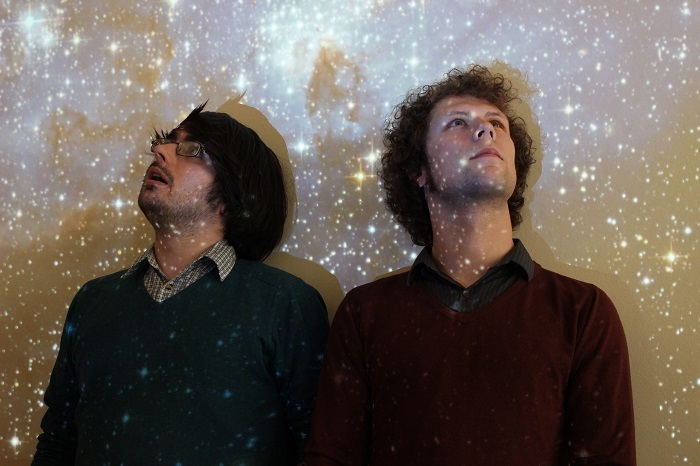 The hosts of Let’s Talk about Space, Kieran and Chris, can lead your venue’s Museums at Night visitors on a guided tour of the wonders of the Solar System and beyond through their unique shows. Their aim is to encourage the general public, children and adults alike, to take an active interest in and develop their knowledge of Astronomy and Science. By combining cross platform arts (live music/film/animation/spoken word) with astronomy lessons, group discussion, stunning visuals and some cutting edge technology (SolarWalk/StarWalk), Let’s Talk about Space dispel any myth that science is boring. 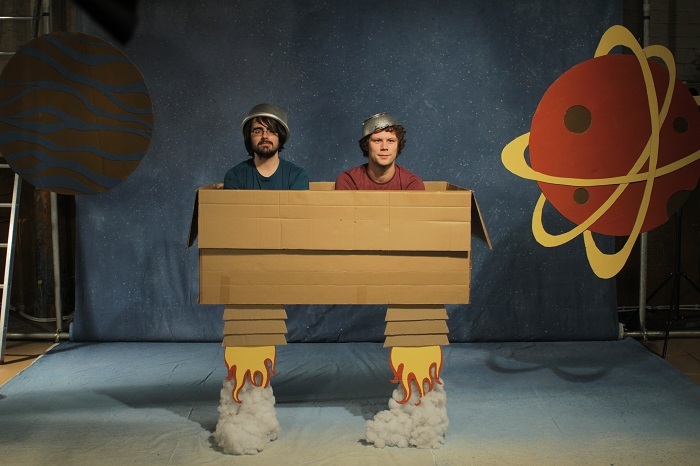 They evoke a sense of wonder through creating fun and interactive environments which the audience can relate to. Since the project’s initial conception in early 2012, Let’s Talk About Space have held performances at the Glasgow Science Centre Planetarium, held the UK’s first ever 100% solar powered concert at The Scottish Dark Sky Observatory, hosted an evening of astronomy lessons at Glasgow’s West End Festival (attended by members of NASA) as well as performing at numerous music festivals, arts centres and schools. Let’s Talk about Space are based in Scotland, but are more than happy to travel further afield around the UK. Kieran and Chris are comfortable performing to audiences ranging in size from 20 to 800 people, and varying the scale of kit they use from stripped-back AV equipment to larger visual projections and theatre-style stage props. The team charge a flexible, negotiable day rate from £300 – £800, depending on the type of venue they’re going to. Each performance lasts roughly an hour, and for the agreed day rate the team are happy to hold as many or as few performances as desired by the venue. The show can be adapted to suit your event, focusing on either the educational content or the live music side of things. If you’re interested in bringing Let’s Talk About Space to your venue for Museums at Night, please contact Nick Stockman on 01273 623279. UPDATE: Thanks to everyone who got in touch because you were away for half term: we’ve extended the deadline to register your events for our brochure until Friday 7 March. 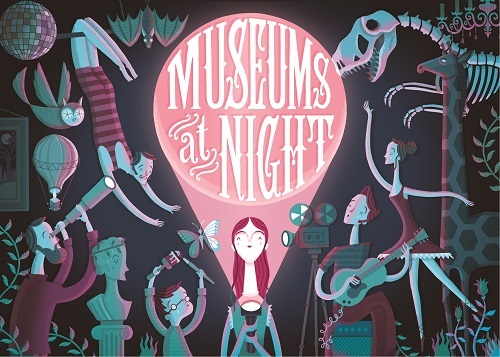 The latest publicity opportunity: your event will appear in BBC History Magazine’s official printed Guide to Museums at Night if you register it by Friday 7 March. This brochure is our main piece of printed publicity, and is distributed to all readers of BBC History Magazine, various Tourist Information Centres, all UK museums and galleries participating in the festival, and any other arts and heritage venues who volunteer to help with the distribution. Don’t miss out! If you’re already planning an after-hours event in your arts or heritage venue on Thursday 15, Friday 16, or Saturday 17 May 2014 you can simply register double-brand your event as part of the Museums at Night festival to take advantage of all the associated publicity. Here’s how to register your Museums at Night 2014 event. Hello! 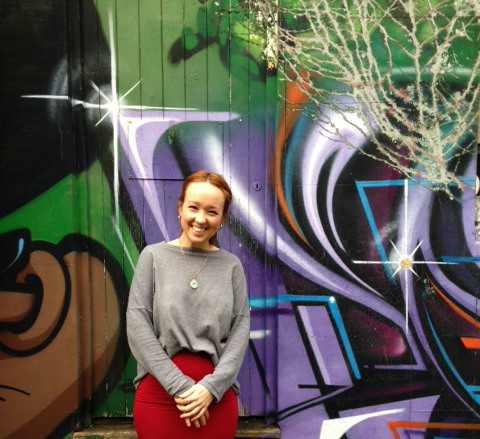 I am Rebecca Hone and I am lucky enough to be the new Museums at Night 2014 festival intern. My background includes studying History of Art at UEA within the walls of the fabulous Sainsbury Centre, as well as a mixture of experience from galleries and arts organisations. I have been working for the last 6 months as Assistant Curator at Mascalls Gallery, a gallery in the heart of Kent, which has been exhibiting a mixture 20th century and contemporary artists since it opened in 2006. 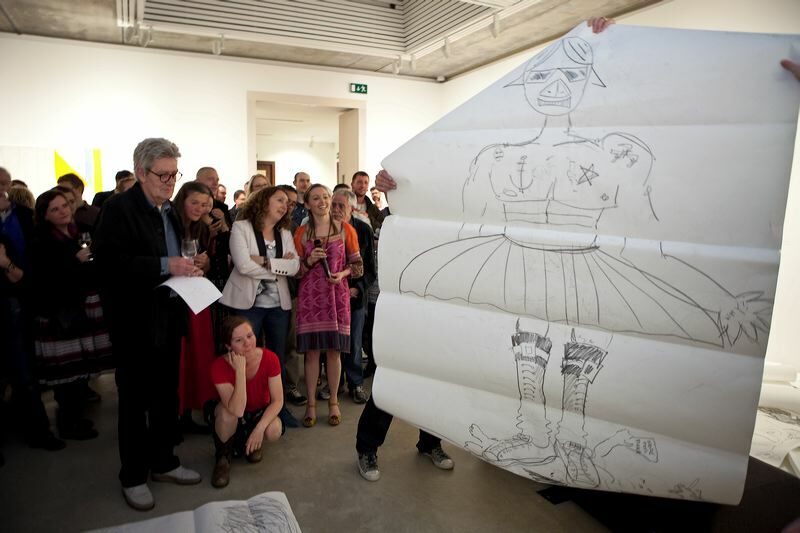 My first contact with working with Museums at Night was in 2013 while I was a Gallery Assistant at Jerwood Gallery who won the public vote for the Chapman Brothers do an evening event in this gallery by the sea. Life sized picture consequences were played through the gallery amidst wine, laughter and a flurry of creativity. The day after, children came into the gallery to tackle to same challenge of these grand sized picture consequences but this time with an injection of colour! From here my enthusiasm for what Museums at Night do has blossomed and I am thrilled to now be part of a team that helps to shower the UK with such events. My first few weeks have had me diving straight in and has been hugely varied already! Excitement fills the room every time ideas for events are shared around the office, planned or confirmed. I look forward to speaking to many of you on the phone in due course and finding out what you are planning for this year’s Museums at Night Festival in May! It’s an exciting day here at C24 Towers: tickets have just gone on sale for three Museums at Night Public Service Broadcasting gigs at the RAF Museum in Hendon! It’s also been great speaking to so many of you about your Museums at Night event plans – over 80 events have already been registered in our database, and we’re expecting many more before our next publicity deadline, Monday 24 February. Here’s a step-by-step guide explaining how to register your Museums at Night events. Still looking for something extra to bring to your museum, gallery or heritage site? How about an author? We’ve added to our spreadsheet as we now have even more authors happy to waive their usual appearance fees to appear at Museums at Night events – including World War I specialists Judith Allnatt and Max Egremont, pub historian Pete Brown and detective novelist James Runcie. 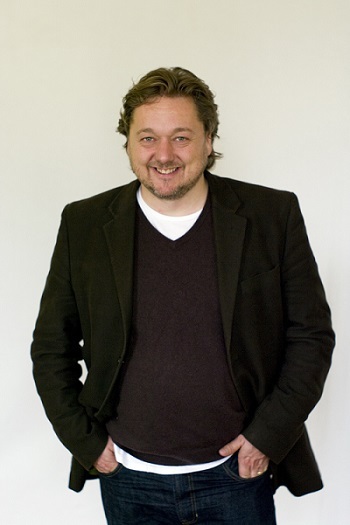 We also have four authors from the School of Life who are available either to speak individually, or can appear as a group to deliver an hour-long event: Anne Karpf, Oliver James, Jack Fuller and Christopher Hamilton. Download the updated list of authors available for Museums at Night events here. If you’re interested in bringing any of these authors to your event, please give me a call on 01273 623336 or email rosie@culture24.org.uk. Culture24 is close to reaching an agreement with the BBC to broadcast coverage of the 2014 Museums at Night festival on national & local television, radio and online. At this stage we are working with the BBC to plan the scope of the coverage, but it is likely that some festival events will be covered by the BBC for broadcast on BBC2 with others to be presented on a special new arts website. Plus, do you have a fabulous and fascinating curator who would be engaging discussing their specialist subject on camera? We need to know! Send your event details to Rosie Clarke, rosie@culture24.org.uk or Nick Stockman, nick@culture24.org.uk or ring 01273 623279/623336. The sooner you get us this info the more likely it will be that the BBC can cover your event in some way. Every year for six years, feedback from participating venues about Museums at Night has highlighted one thing – the need to raise the festival’s profile through national broadcast media. This is your opportunity to make this happen!